Personally, we don’t know why someone would want to ruin a perfectly good bike ride by preceding it by swimming or following it with a run (Rule # 42), but there are those who do and on Saturday and Sunday, July 12 -13, 2014 there will be an ocean load of them here right here for the annual Carlsbad Triathlon. The City of Carlsbad needs help making sure all these people are headed in the right direction. They need volunteers. Volunteer opportunities for the Lifestyle and Fitness Festival, taking place Saturday, July 12, include checking in athletes and handing out goodie bags. 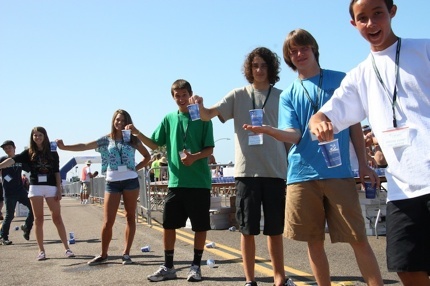 Body marking, assisting with timing at the finish line and passing out refreshments at the hospitality booth are among race day volunteer opportunities on Sunday, July 13. . . “Even if you may not want to swim, bike or run in the Carlsbad Triathlon, you can still play a key role in the exciting race weekend as a volunteer,” said Sue Irey, volunteer coordinator for the City of Carlsbad. 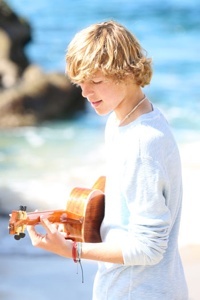 On Saturday, June 21, 2014 Carlsbad’s own Cody Lovaas will help kick off summer with a family friendly concert at the Park Hyatt Aviara Resort. 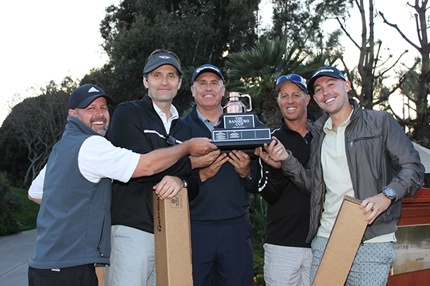 Proceeds from the event will help support the Carlsbad Education Foundation. Local 15 year-old Carlsbad singer song-writer Cody Lovaas will headline the event with Valley Middle School band, Caution, as the concert openers. Doors open at 4:00 p.m., concert at 5:00 p.m. Food and beverage will be available for purchase from local Carlsbad restaurants. General admission tickets are only $25 ($30 after June 10th) or enjoy the event as a VIP guest for $50 (pre-sale only until June 10th) with front row seats, a special gift bag and a meet and greet with Cody! To purchase tickets (and help support music in Carlsbad schools), or for more information click here for the Carlsbad Education Foundation. 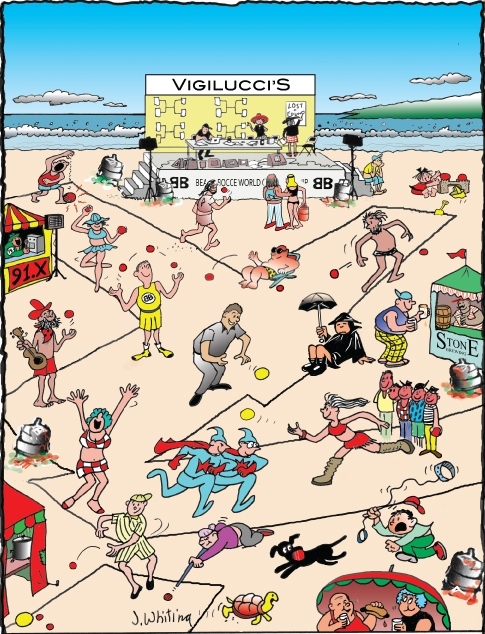 Each year the Vigilucci’s Beach Bocce World Championships raise money for the Boys & Girls Clubs of Carlsbad. And each year they get a local artist to create an original piece for the competition. 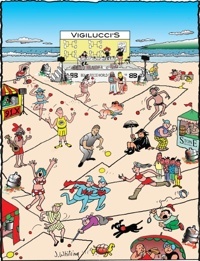 This year, Encinitas cartoonist Jim Whiting has created the art work. Jim Whiting began his career as a magazine cartoonist, creating chuckles for such well respected national publications as The Saturday Evening Post, Colliers, and Look magazine. After a short stint at a successful NYC advertising agency, Jim began to sell his original cartoons to the aforementioned clients and over 75 additional publications. Mr. Whiting has created countless illustrations for books, magazines, and presentations. He currently lives in Encinitas with his wife, Bernita, and Bella, their dog. 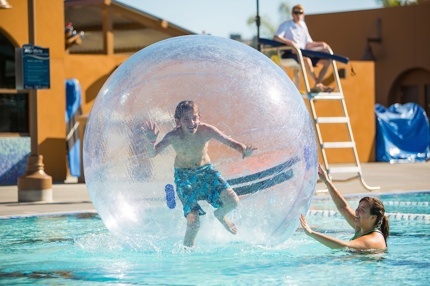 On Saturday, June 7, 2014 the City of Carlsbad will be introducing all their summer activities at the Alga Norte park Aquatic Center from 4 to 7 PM with Splash Into Summer. This family-friendly event is designed for kids and adults to preview all the aquatic center has to offer this summer, including classes, camps, movies and other fun events. Swim in the warm water pool, play on the giant inflatables and water balls, and enjoy the splash pad. Learn about masters swim, water fitness classes, swimming lessons for all ages, individual and family passes, and aquatic sports and junior lifeguarding camps. Entrance fee is $8 per person and refreshments are available for purchase. One child, age 3 and under may be admitted free with a paying adult. 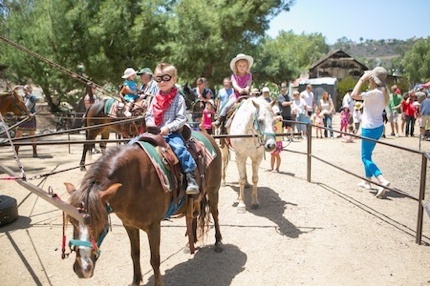 The event, which runs from 11 a.m. to 2 p.m., will take place at Leo Carrillo Ranch Historic Park, located at 6200 Flying L.C. Lane. 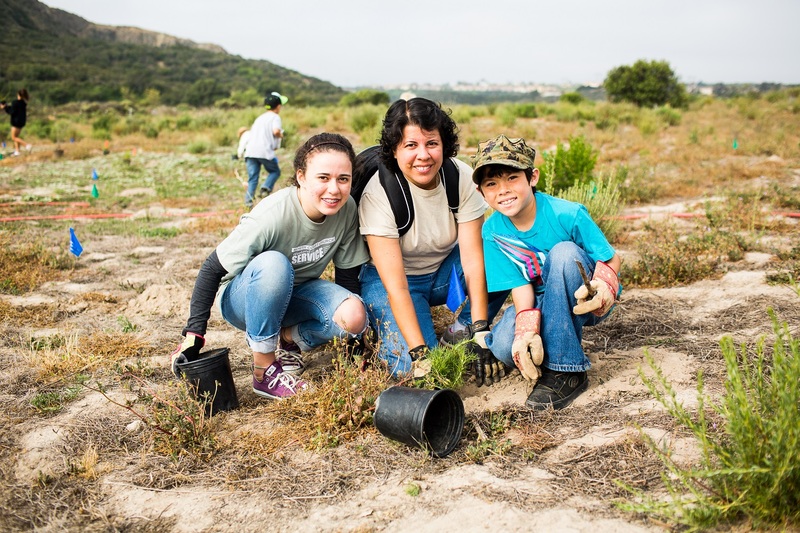 The park was once a working rancho owned by actor, philanthropist, poet and preservationist Leo Carrillo and is a designated California Historical Landmark. . . Admission to Wild West Fest is free, and activity cards can be purchased for $6 for things like pony and mechanical bull rides, souvenir photos with authentically dressed cowboys and cowgirls, and western themed crafts. . . Among the event highlights is the salsa contest, which is judged by Chili’s, and features prizes for salsa taste as well as table presentation in the following categories: best overall, people’s choice, best presentation, funniest presentation, best fruit salsa, hottest salsa and originality. While we’re of that opinion that every day should be bike-to-work day, we realize that others need to start somewhere. 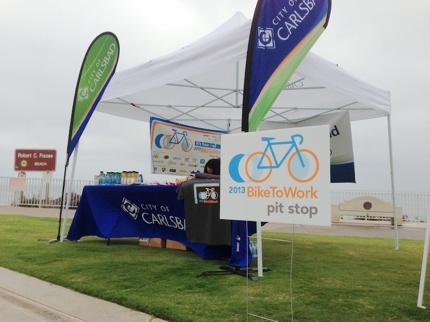 What better way to try it out than on Friday, May 30, 2014 when the City of Carlsbad will be handing out goodies to everyone who rides to work. It’s all part of the National Annual Bike To Work Day organized by SANDAG to promote bicycles is a great way to commute. It’s also a great way to check out all the new, wider, hopefully safer bike lanes that are currently going in a long the coast. Those who have children, siblings, or are themselves students in the Carlsbad Unified School District know that when the Poinsettia Fire broke out on the morning of Wednesday, May 14, 2014, the school district immediately began communicating with the community at large. It was great to see how quickly and efficiently the district could make sure the kids were safe and communicate that information with anxious parents and family members. Now, CUSD Superintendent Dr. Suzette Lovely (right) recounts the details of May 14, 2014 in an open letter to the community giving us all a better idea of exactly how decisions were made as the day progressed. Wednesday, May 14th began as a normal, albeit hot, day in CUSD. Then at 10:43 a.m. everything changed! As we now know, the fire broke out near Poinsettia Lane and Alicante Road just east of El Camino Real. 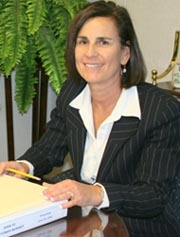 As Poinsettia Principal, Margie Giordani, watched the flames grow south of her campus, she called the District Office. Principal Giordani reported that School Resource Officer, Malcom Warfield had just arrived on scene and they would be sheltering in place. We immediately activated our EOC (Emergency Operations Center). Ms. O’Connell and I tried to reach Poinsettia School to assist the principal. As we drove south on El Camino Real it was mayhem. Cars were stopped in the middle of the street, people were standing in the median taking pictures, and fire trucks were screaming by. We watched in horror as a huge plume of black smoke followed by a wall of flames arched over El Camino Real just north of Cassia Rd. When we finally arrived at Poinsettia Lane we were turned back by police. At this point the fire had not yet jumped El Camino Real – but within seconds it would. At approximately 10:50 a.m. Ms. Giordani and Officer Warfield informed the EOC that due to the fire’s proximity to the school (and lack of foreseeable containment) they should begin evacuating students. Simultaneous to this – and unbeknownst to anyone at the EOC – burning embers had blown across El Camino Real. Dry brush in the canyons east and north of Aviara Oaks Elementary and Middle School had caught fire. Homes and businesses in the surrounding area were directly in the fire’s widening path. Carlsbadistan’s New Village Arts Theatre concludes lucky Season 13 with the hilarious Southern comedy The Miss Firecracker Contest. This play about small towns and beauty pageants is the comedic account of one woman’s attempt to save her tarnished reputation by becoming Miss Firecracker. Full of the unusual characters that Beth Henley (Crimes of the Heart) is known for, The Miss Firecracker Contest bursts with humor, absurdity and heart. Featuring 2012 San Diego Theatre Critics Circle Award Winner (Outstanding Featured Performance) Samantha Ginn in the title role and directed by San Diego favorite Daren Scott.